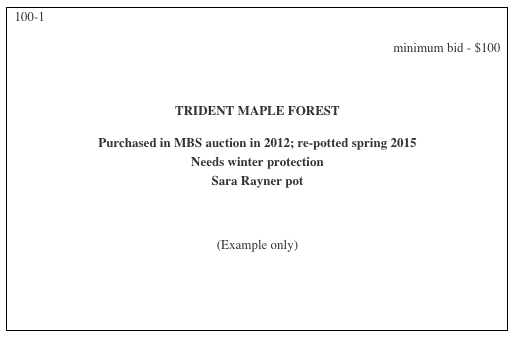 Each year MBS sponsors a Spring and Fall Auction. This is a fun and exciting event where members can buy or sell trees, pots and other bonsai-related materials during the live or silent auction. It’s one of the best ways to obtain new material for your collection, or make room on your benches. A percentage of the sale is retained by the society to help fund other events. The auctions will be held at Washington County State Fair Grounds (Hooley Hall), 12300 40th St N, Stillwater, MN 55082. Seller check in starts at 9 a.m. Sellers are required to sign in with their member number and total number of items in both the silent and live auctions so we can keep track. The 2019 October auction is held at Hamline United Methodist Church, 1514 Englewood Ave., St. Paul. 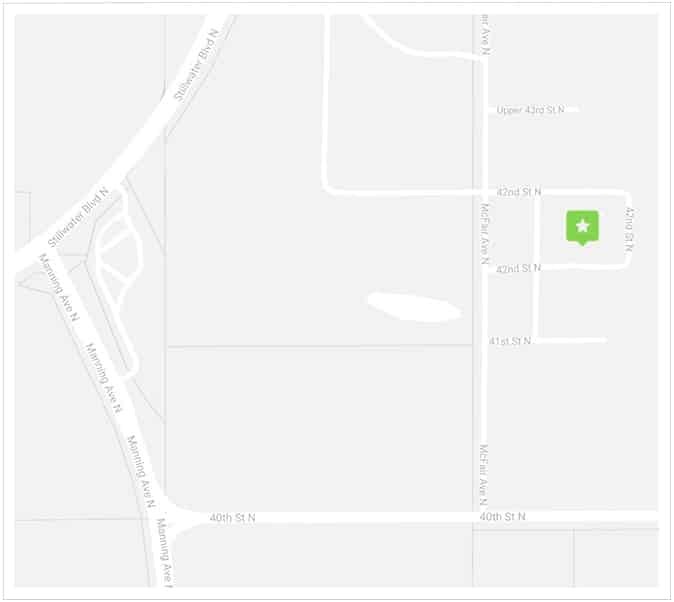 Parking is available in the lot behind the church – enter church at south side doors (ring buzzer). Seller check in starts at 9 a.m. Sellers are required to sign in with their member number and total number of items in both the silent and live auctions so we can keep track. Buyers can begin viewing materials from 10:00 am to auction start at 11:00 a.m. and sign in to get their lucky bidder number. Live auction starts at 11:00 a.m. with silent auction bids accepted during the first half of the live auction. Silent bidders can check their bids and make changes as necessary during a 10 minute intermission before the silent auction closes. The Live Auction then resumes until all live auction items have been given a chance to be sold. There will be odd/even checkouts, and another person available to accept credit cards. This will expedite the check out process for the buyer. Please wait until all of the silent auction items have been logged before asking to check out. This helps avoid errors in tabulating totals. CENTER – Item description: tree species, pot, etc., also any specific information such as “re-potted this spring” or “needs winter protection”. Sellers must be members and can have unlimited non-plant material in the silent auction but are limited to 5 non-plant items in the live auction. MBS receives 15% of the proceeds. Vendors are welcome but sales are restricted to non-plant material only. Highest bid is the winning bid. In cases where the minimum is not met, the item returns to the owner. Checkout does not start until after the silent auction closes and the bids are tallied. The Society accepts cash, personal checks, Visa and MasterCard credit cards.